TVs are getting bigger and better with more features all the time, in the last few years the big thing was 3D, but now the craze is 4K, so should we all jump on band wagon and buy one? Is it worth it right now and are there any benefits to 4K over 1080 – which is what we are currently using. First off lets discuss what 4K is for those that do not know; current TVs are 1080 which means 1920 x 1080 pixels and 4K means 3840 x 2160 pixels, so basically 4K is 4 times as many pixels. This sounds great, doesn’t it? Well… Currently I’m afraid not and here is why. Let’s start with the thing that will effect 4K and that’s content, what content can we find that is 4K, also are there any Blu-ray player on the market that can display true 4K or native 4K, and we’re not talking about upscaling. At the moment finding a 4K Blu-ray will be very unlikely but there are rumours that a true 4K Blu-ray play will be on the market at the end of 2014, currently there are standard Blu-ray players that can upscale to 4K but this is not true 4K, and what is the difference between true 4K and upscaling? Upscaling or 4K compatible or similar is actually play a lower resolution disc, let’s say 1080, and the Blu-ray player or the TV is to make up the rest of the pixels to make a 4K image, it has to guess all the missing pixels, it is guessing what the pixels should be from the other pixels around it to make a 4K image, and it’s not always 100% correct. As for Freeview TV, TV signals are only being broadcasted in 1080i for HD channels and 576p for SD channals, the “i” stands for interlace and “p” stands for progressive, at the moment it’s not important to know what where mean but if you’re looking for more information, go to http://www.cnet.com/au/how-to/1080i-and-1080p-are-the-same-resolution/ and the best we can get out of Freeview or Foxtel at the moment would be 1080i and 3D, when they are broadcasting it of course, but that’s another blog. As 4K TVs are still a new technology, of course it’s quite expensive and in our option, hold off for at least the next 12 months, but if you have the dollars and want the best of the best then by all means purchase a 4K TV, just understand that at the moment there is no benefit for anyone, just stick with 1080 HD TV’s for now, even PS4 and Xbox one will not produce 4K games. Now, from time to time there is an exception to the rule, the only time we would recommend a 4K TV is if you purchase a screen size over 70”, you will want to consider a 4K TV, anything under 70” you’ll be wasting your money as there is no benefit to watch 4K on a small screen, and the reason why… Good quality TV’s are not cheap and you’ll only buy a new TV once every 5 to 10 years, so if you intend to buy a larger TV now, set yourself up and get that 4K TV. 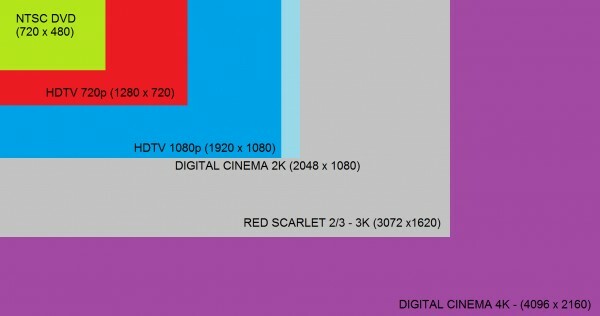 As screen sizes go up, a 1080 pixel TVs will get more noticeable, it is just like sitting in the first row at the movie theatres, physically seeing all the little pixels because you’re too close to the screen, to keep all the fine details of the movie or show, as it should be this is when 4K should be used, but of course right now there is no benefit, so if you can hold off on that big purchase, do so. Home theatre sound proofing Speakers and receivers, which one should you get?